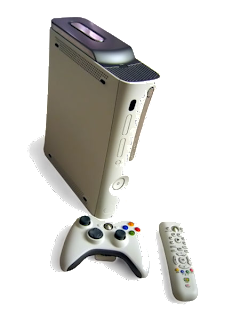 SEATTLE, Aug. 6 (AP) — The Xbox 360 video game console from Microsoft will be $50 cheaper starting today, confirming leaked advertisements posted by bloggers in July. The company said its most popular console, which comes with a 20-gigabyte hard drive, will cost $349. A basic console without a hard drive or wireless controllers will retail for $279, $20 less, while the Xbox 360 Elite, a black version with a 120-gigabyte hard drive and high-definition video support, will drop $50, to $449. Microsoft has been dodging questions about a price cut since its competitor Sony slashed the price of its 60-gigabyte PlayStation 3 to $499, from $599, in July. The Nintendo Wii, the least expensive of the so-called next-generation consoles, costs $250. Last week, representatives of Wal-Mart Stores, Toys “R” Us and Microsoft refused to say whether blurred images found online — purportedly showing weekend ad circulars reflecting the price cuts — were authentic. Aaron Greenberg, a group product manager for Xbox 360, said in an interview Monday that the ads were real. He also said competitors’ prices had no impact on Microsoft’s decision. TORONTO, ON -- Aug. 7, 2007 -- Microsoft Corp. today kicked off the greatest holiday lineup in video game history by announcing it will reduce the Canadian retail price of Xbox 360™ by $100 (CDN) beginning today at Canadian retailers nationwide. Soon to follow, Electronic Arts Inc. (EA) will release its blockbuster video game title "Madden NFL 08" on Aug. 14. "Madden NFL Football," one of the most important mass-appeal franchises in video games, was the top-selling game of 2006 and is the top-selling franchise of the past 10 years. Only Xbox 360 offers a console for all interests and budgets. The Core and Premium consoles are both receiving a hefty cut of $100 while the Elite will drop by $50. That means our neighbors up north can pick up a Core for $299, a Premium for $399, or an Elite for $499. Meanwhile, the Halo 3 special edition 360 is set to debut in September at $449. Frankly, if someone was going to spring for the Halo 3 system, we don't see why they wouldn't just take the plunge and get an Elite.